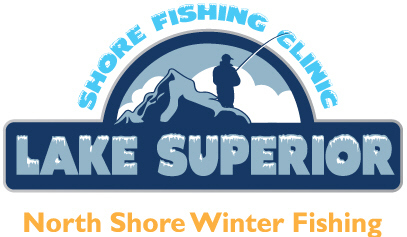 What is the Winter Shore casting clinic? 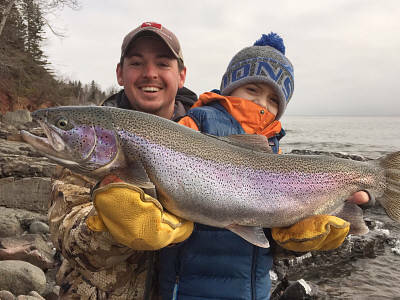 This clinic is aimed to teach anglers the fundamentals of shore casting the breaks, beaches and shore of Minnesota's Lake Superior shoreline. 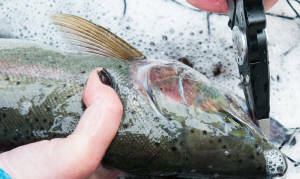 The clinic focuses on steelhead and kamloops rainbow trout, but will also touch on some other available species. Due to unpredictable weather, the clinic will be conducted indoors. We will cover everything you will need to know to get started on your next adventure. All participants are encouraged to bring their fishing gear. 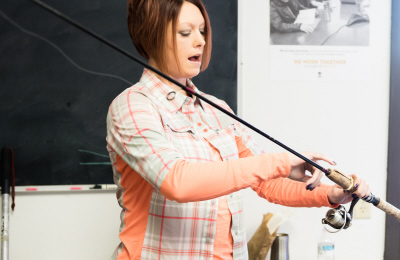 If weather permits, anglers can put their new skills to the test after the clinic. The lake will only be a snowball throw away. 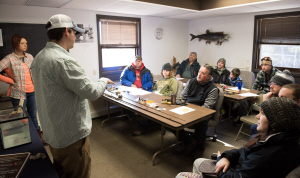 Our volunteer directors will teach what we have learned over the years to effectively target steelhead and kamploops during the winter shore casting months. Much of what you will learn can also be applied when fishing during the spring, summer and fall seasons as well. Our main angling approach at this clinic will focus on the use of spinning rods, reels, and terminal tackle. We will teach you the various set-ups that work for us, demonstrate how to line them and what terminal tackle you will need. We will cover several different types of lures and when and how to fish them, the types of live bait, and how best to fish in a variety of conditions. 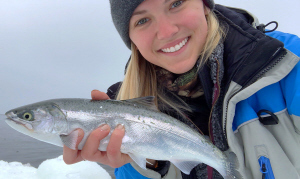 We cover cold weather gear basics, added fishing accessories, and some safety tips to keep your day dry and productive. We also teach you how to best select likely productive fishing locations. We cover what key things to look for and what areas to stay away from. 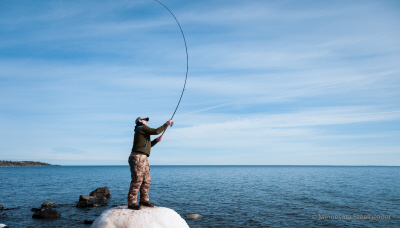 Minnesota has approximately 150 miles of Lake Superior shoreline for anglers. Much, but not all is accessible to anglers, we will hone in on the good stuff. Though this clinic is an indoor classroom setting, we anticipate that many of you will be eager to head out fishing immediately afterwards - can't blame you. For those that do we strongly recommend practicing SAFETY FIRST. No fish is worth injury. Stay away from ice covered rocks, dangerous break walls, and, in the event of lake ice, keep off the lake. Proper footwear is a must. For the classroom you will only need your morning beverage. We plan to have a detailed handout for each angler, so note taking can be kept at a minimum. We recommend the following if you plan to fish after the clinic. First and foremost, bring a positive attitude. 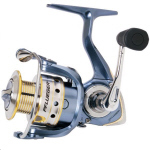 You will also need to supply yourself with your own fishing equipment (rod, reel, line, lures, bait, etc.). We also strongly suggest ice cleats, a net, polarized glasses and a camera. See below for a general list of suggested equipment. This clinic is open to all anglers looking to get an introduction to Lake Superior shore casting. Though our clinic will only be a classroom setting, some of our volunteer instructors will likely be angling and will surely offer up conversation and answer any questions. Our program instructors strongly encourage women and Parent/child pairs to participate in the clinic. Children must register and attend with an adult to participate. What you will learn here can easily be applied to comfortable spring, summer and fall fishing as well. There is no cost for this event, but suggest a minimum donation. Our volunteer staff is donating their time and talents to teach and guide during this wonderful clinic. All donations received for our events and clinics go right back to help fund future educational programs, community events and habitat projects, and further our conservation mission. This clinic continues on because of your generosity. please note this is limited to only 12 anglers and registration fills up fast. Please note this is limited to only 12 anglers and registration fills up fast. Please only register if you are 100% committed to attend. If you register after the limit has been met, you will be placed on the waiting list. 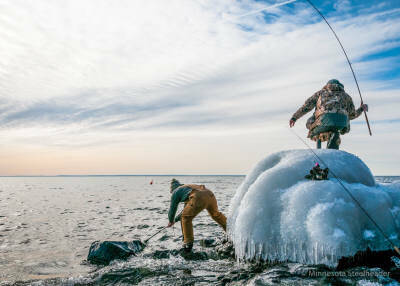 Support Minnesota's North Shore fishery. Donate to Minnesota Steelheader today! 1/4oz - 3/4oz weighted bobbers. 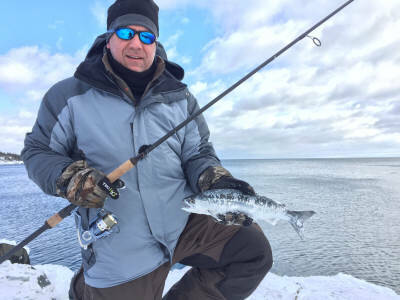 Below are some suggested items to get you started in winter shore fishing along Lake Superior's North Shore. We will discuss these items as well as other lures & flies, live bait, rigging options and alternate gear. A spinning rod with 5-6lb mono, a few light marabou jigs, a couple weighted bobbers, and some butterworms or waxies will have set to fish! What makes shore fishing easy, is most anglers have much of what is used. Again, these are suggested items. You can fish with a shorter rod, heavier monofilament, other jigs, lures and live bait. Our clinic will go into details why we recommend what we do. This is a great opportunity for beginning anglers or those interested in open water winter fishing. has you looking to the southern sky and a glistening lake. Jan. 19, 2019: Registration is now Full.